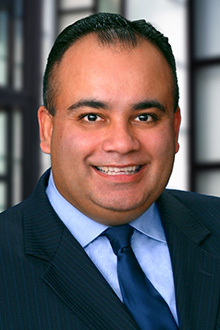 Shane Singh is a partner in the Sacramento office of Lewis Brisbois and a member of the Labor & Employment Practice. He also serves as a national vice-chair of the Hospitality Practice. Mr. Singh graduated from the University of the Pacific, McGeorge School of Law in May 1999 with his law degree and a Certificate in Governmental Affairs. Prior to attending McGeorge, he earned a Bachelor’s Degree in Political Science with a minor in City and Regional Planning from the University of California at Berkeley. During law school, Mr. Singh served as a Certified Intern with the Sacramento County District Attorney’s Office Misdemeanor Unit, a Student Legal Assistant with the Cal-OSHA Appeals Board and as a Discussion Group Leader (tutor) for first year Real Property students at McGeorge. In college, Mr. Singh interned for California Governor Pete Wilson and served as a head team manager for the California Golden Bear’s Men’s Basketball team. This team featured the likes of NBA Hall of Famer Jason Kidd and NFL Hall of Famer Tony Gonzalez. In high school, he worked as a ballboy for the Sacramento Kings. He handles a variety of cases ranging from disability discrimination (ADA), employment law, business litigation, and real estate to bodily injury matters. His representative clients include national retailers such as Starbucks Coffee Company, as well as a number of local businesses and emerging companies. Mr. Singh was recognized by his peers for inclusion in the 2010 & 2013 Northern California Super Lawyers “Rising Star” list. This award recognizes the top 2.5% of attorneys under 40 in our state. In 2017 & 2018, he was selected for the Super Lawyers list recognizing the top 5% of all attorneys in Northern California. Also in 2018, Mr. Singh was named to Sacramento Magazine’s “Top Lawyers” list. Mr. Singh has a published appellate opinion related to the recovery of expert witness fees, Carwash of America – PO v. Windswept Ventures No. 1 (2002) 97 Cal. App. 4th 540. In 2004, Sacramento’s John F. Kennedy High School honored him for his work with youth and adult soccer by awarding him its Cornel West Alumni of the Year Award for Outstanding Community Service and Professional Contributions. Mr. Singh has earned the Boy Scouts of America’s highest honor, Eagle Scout. In November 2010, he was a candidate for the Sacramento City Unified School District (SCUSD) Board of Trustees. Mr. Singh’s key endorsers included The Sacramento Bee, Sacramento Metropolitan Chamber of Commerce, Sacramento Mayor Kevin Johnson, EdVoice and the Sacramento Police Officers Association. Upon the nomination of District 7 City Council member Rick Jennings, Mayor Kevin Johnson and the Sacramento City Council confirmed Mr. Singh as a Parks and Recreation Commissioner for the Pocket-Greenhaven, Valley Hi and Delta Shores communities of Sacramento in 2015. As a Parks Commissioner, Mr. Singh’s duties included making recommendations and to advise the city council and the department of parks and recreation on policies, projects, and other matters pertaining to parks, recreation, trees, and human services. The commission also heard certain appeals from decision made by the Director of Parks. Mr. Singh concluded his service in 2018. Mr. Singh recently served six terms as President of the Greenhaven Soccer Club (Youth) – a non-profit that is dedicated to administer and promote an organized soccer program for approximately 1200 youth of Sacramento’s Greenhaven/Pocket areas. In 2009, Mr. Singh was one of the founders of the Sacramento Soccer Alliance, a competitive soccer program that serves the Pocket-Greenhaven and Land Park communities. He also is a former Director of the Robbie Waters Pocket-Greenhaven Friends of the Library board. Mr. Singh has served as a Director of the Sacramento Barristers’ Club. Mr. Singh is also fluent in Hindi. Carwash of America – PO v. Windswept Ventures No. 1 (2002) 97 Cal. App. 4th 540. Six Term President, Greenhaven Soccer Club of Sacramento, Inc.